Various Artists - The Void. Vinyl LP. Bleep. 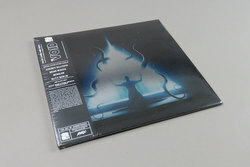 Super eerie late night horror soundtrack gear here from Death Waltz. The Void (2016) sees its synth driven soundtrack given the vinyl treatment and it is not one to miss if you’re a John Carpenter fan! Dark ambient, industrial leaning slo-mo atmospherics and warped, Unit Black Flight esque electronics aplenty on this one. Seventeen tracks ranging from minute long skits to fully fledged, six minute compositions! Check ‘Dysmorphia’, ‘Place of Worship’ and ‘A Hole in the World – a Death in the Family’. We’ve not seen the film but can confirm these tracks are strong enough as they are.